Now that the leaves are slowly changing, the air is getting cooler, and sun is setting earlier, it’s time to break out my favorite autumn smoothie recipe. It’s warming, satisfying and even provides some kick to fight off those allergies and cold symptoms. Be sure to sue organic apples in your smoothie. According to the Environmental Working Group’s “Dirty Dozen” list, apples have been found to contain the most pesticide residue (a total of 47 different types of pesticide residues) of conventional fruits and vegetables. 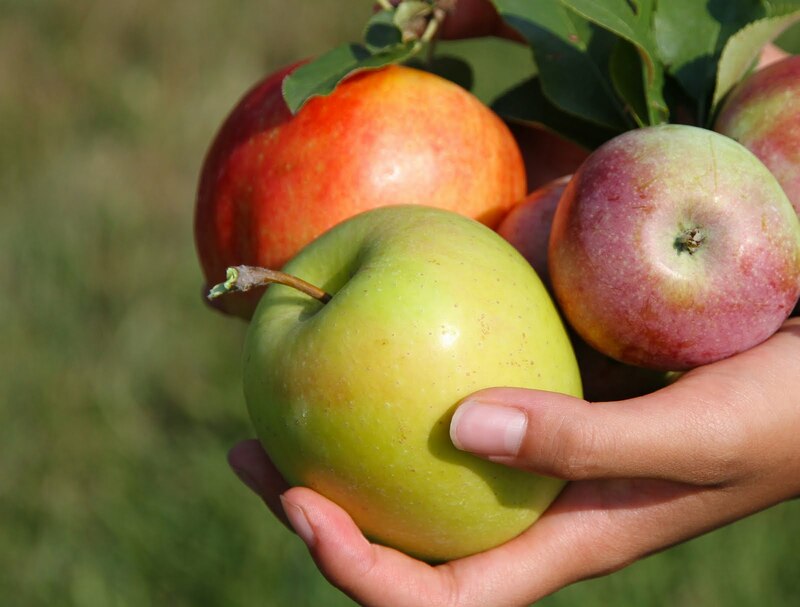 And since eating the skin of the apple is a great source of fiber, but also where many of the pesticide residue resides, paying a little bit more for organic is essential to stay healthy. Blend all the ingredients together in your favorite mixer and you’re set! It’s the perfect way to use some of those apples that are ripe for the picking this time of year! < Previous A Cheesy Book Review and Giveaway! Next > Simple Skin Saving Strategies!